An X-ring, or Quad-ring, is a seal with four symmetrical wings forming an X shape. 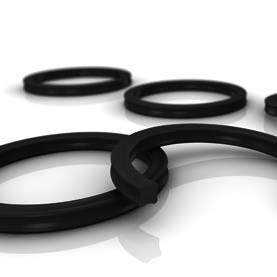 Due to it’s low friction geometry, this seal type delivers better sealing than the traditional O-rings, even at very low pressure, thus making it ideal for dynamic applications. The specific profile of the seal also prevents twisting during its installation. 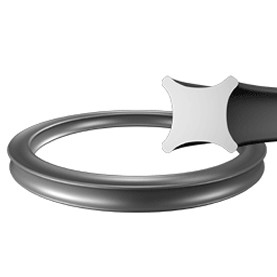 For dynamic applications we recommend the use of x-rings with the largest possible cross section. If anti extrusion rings are required they must be specific X-ring design as the O-ring anti extrusion ring will not be valid. Standard materials: NBR 70º, EPDM 70º and FPM 70º (ShA). Upon request we can manufacture the seals in other materials: ACM, MVQ, MFQ and FFKM.